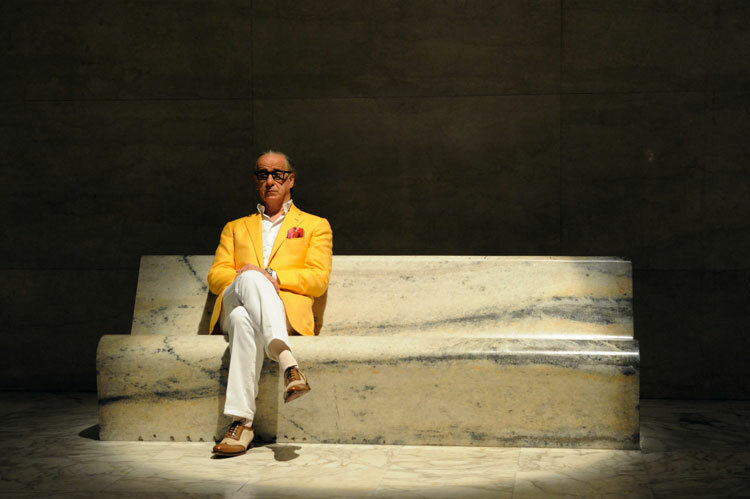 ‘The Great Beauty’ by ‘Paolo Sorrentino’ is a wonderfully crafted film that is a joy to watch on almost every level. Now before I go any further with this review I want to point out that with the film taking place in Rome it does mean that it is all spoken in Italian, so if having to read subtitles throughout a film isn’t your thing then you probably know if this will be a film you’ll ever be interested in seeing. Anyway onto the review. The Great Beauty has us following the eccentric exploits of Jep Gambardella who has spent most of his life indulging in the Italian night life, but after turning 65 he begins to look at what it is he is spending so much of his time doing and how doing this has caused him to pass by so many important people and moments in his life. This premise isn’t the most complicated of ideas but the way in which it is handled is what makes it a stand out film. One of these ways is the sublime acting from almost all involved and particular credit must go towards the lead actor in the film ‘Toni Servillo’ who is faultless in the film. Servillo grabs a hold of a scene and stops you from ever wanting to take your eyes off of it; scenes where he is simply walking down the colourful street of Italy are as encapsulating as ones where he is delivering some of the expertly written dialogue. This is another point of the film that must be touched upon, its dialogue. What I must imagine where some meaty and gratifying scripts too dive into (for the actors) means that each scene is a genuine joy to watch play out and the back and forth between each character is done so well and will it helps too continually drive the film forward. One thing that does let the film down though is its running time, at 2hrs and 21 minutes the film begins to drag a little by the end and even with all the other brilliant points in the film it unfortunately cannot keep up what seemed to be a wonderfully compelling story. The last half hour of the film takes a strange turn and becomes almost a different film all together which is a shame. I feel that if the film had instead not had this last strange segment the film would have been flawless. Not wanting to end on a low note I feel it is important to talk about the look of this film. Utilising the back drop of Rome the film is just stunning to look at, especially the party scenes of which there are a lot of, and also having the opportunity to explore the art and architecture that Rome is in not short supply of adds another level of beauty to this film. To finish off I would definitely recommend this film. With its superb acting all round, a plot that is certainly not too cumbersome on the rest of the film and its many visual delights, this film left me entertained and enthralled and I am certainly happy that I got to see this beautiful film. Jonathan Glazer’s Under the Skin is a weird and wonderful experience of a movie and is certainly one that will divide opinions, for me the movie was a genuine treat to behold and one I won’t fast forget. What stood out the most to me with this movie is how it at no point treats the audience like a dribbling mess, unlike a lot of film today. 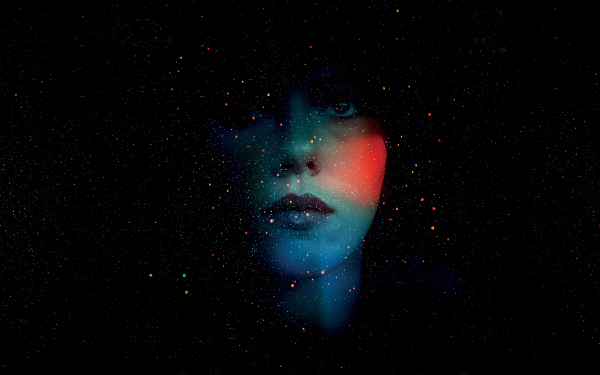 ‘Under the Skin’ is a film that takes the over use of exposition and throws it out the window completely. The audience is left to interpret the movie completely for themselves and as the movie progresses it becomes a more weird experience to interpret. With no explanation of what is happening in the film it ended up creating a much more involved and enjoyable experience for me as a cinema goer. Another stand out point of this film was lead actress Scarlett Johansson. Johansson commands the screen brilliantly, with very little dialogue in the movie, much of the events are expressed to us simply through the emotion in her eyes and to put it bluntly, it works. Often you could gain everything you needed to know about the scene by simply reading the look on Johansson’s face. Her subdued performance was refreshing and well placed in the movie. With a lot of the movie being dialogue free; it’s left to the visual side of the movie to get across the ideas in the movie and because this is the case it means that each scene is rich in information, Glazer will thrust you into a scene and then leave it sitting there for you to then soak up all that could be crammed into it. This results in a movie that is a genuine delight on the eyes and it’s also aided by having the charm filled vistas of Scotland throughout. The only main issue that I encountered during the movie was where the movie was set. Under the Skin takes place in Glasgow, Scotland for the majority of the movie and having the movie take place in Glasgow is not something I am opposed too, the only issue that I had with it is because I live in Glasgow and so there were times in the movie where I was taken out of the experience and so sometimes I was not concentrating on what was happening in the moment and was instead thinking about the places they were and the people wandering in the background. This was really my only issue with the movie. To conclude, I loved this movie. It was a movie I had no context for when I went into the cinema and so that only heightened the experience. From the selective dialogue to having the movie not force the story down your throat with constant exposition, this movie was just left me thinking a lot about all the little details that were laced throughout it and I would definitely recommend that you see the movie, if not just to see something original and different at the cinema before all the big blockbusters takeover.